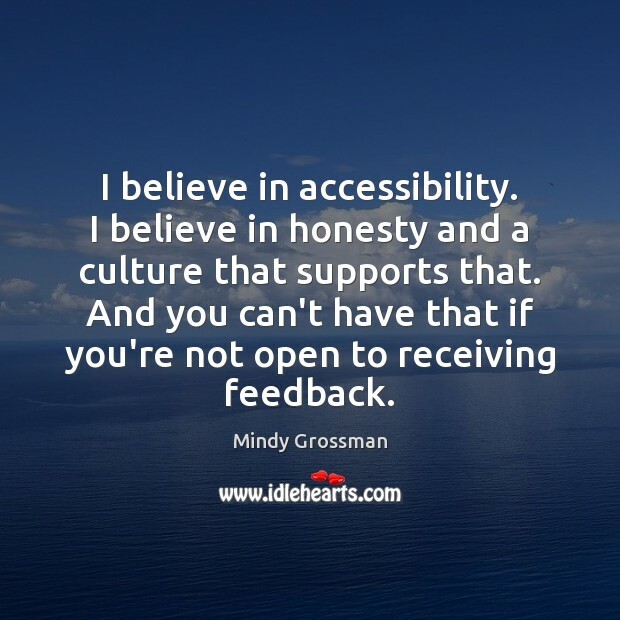 Quotations about Accessibility. Quotes to stimulate mind and drive action! Use the words and quote images to feed your brain inspiring things daily! The four BIAs in the area support it. 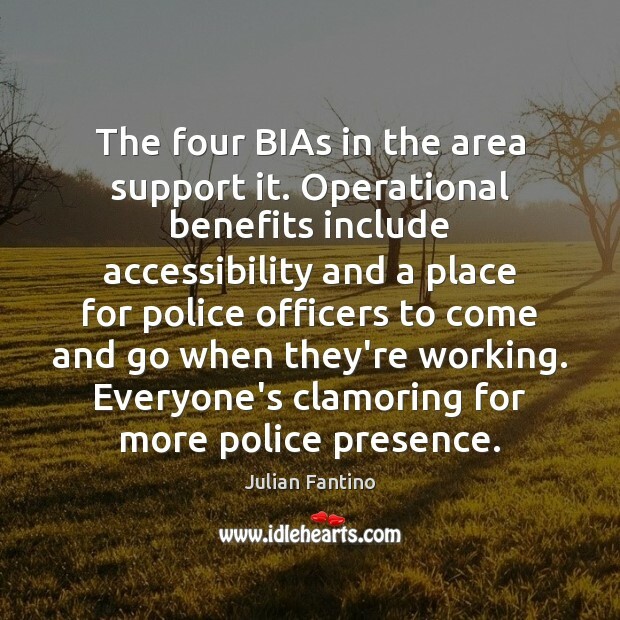 Operational benefits include accessibility and a place for police officers to come and go when they're working. Everyone's clamoring for more police presence. 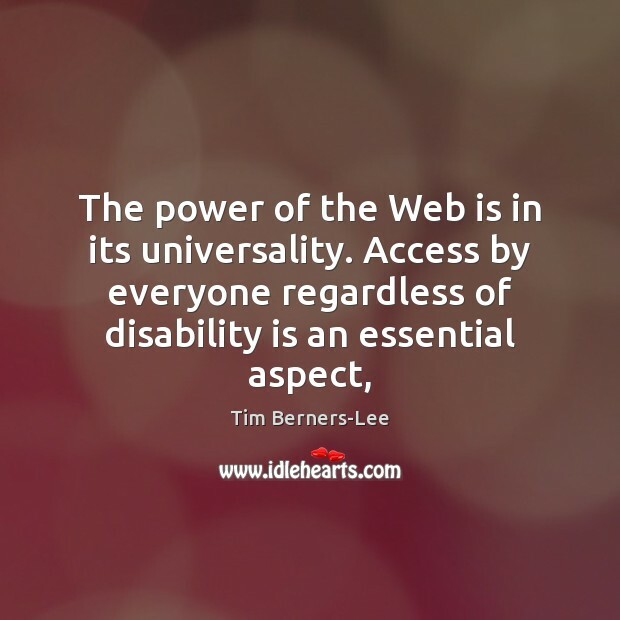 It isn't that information is exploding, but accessibility is. There's just about as much information this year as there was last year; it's been growing at a steady rate. It's just that now it's so much more accessible because of information technology. 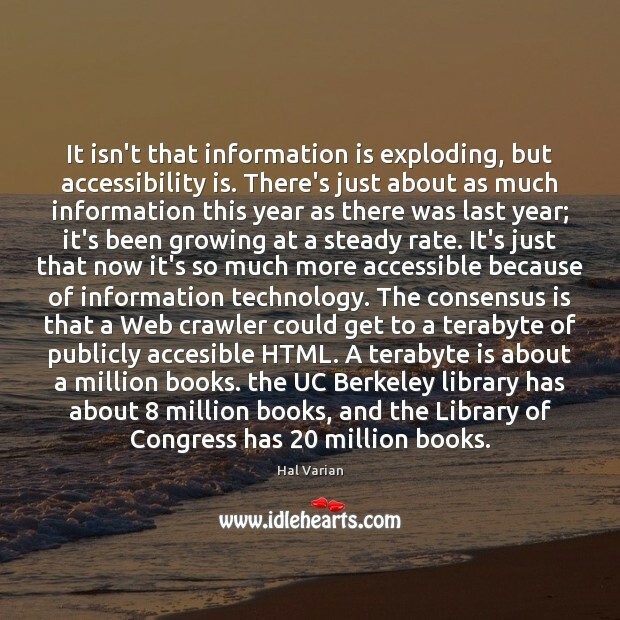 The consensus is that a Web crawler could get to a terabyte of publicly accesible HTML. A terabyte is about a million books. the UC Berkeley library has about 8 million books, and the Library of Congress has 20 million books. 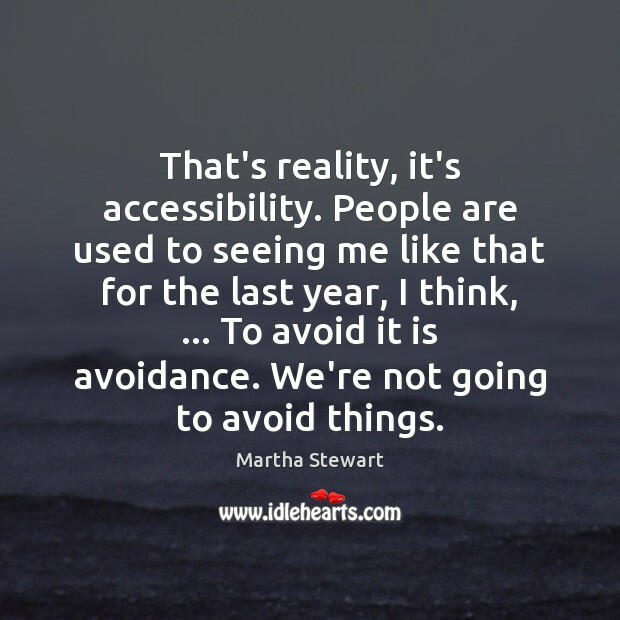 That's reality, it's accessibility. People are used to seeing me like that for the last year, I think, ... To avoid it is avoidance. We're not going to avoid things. Whatever it is that you're successful at, that has to be the No. 1 goal. 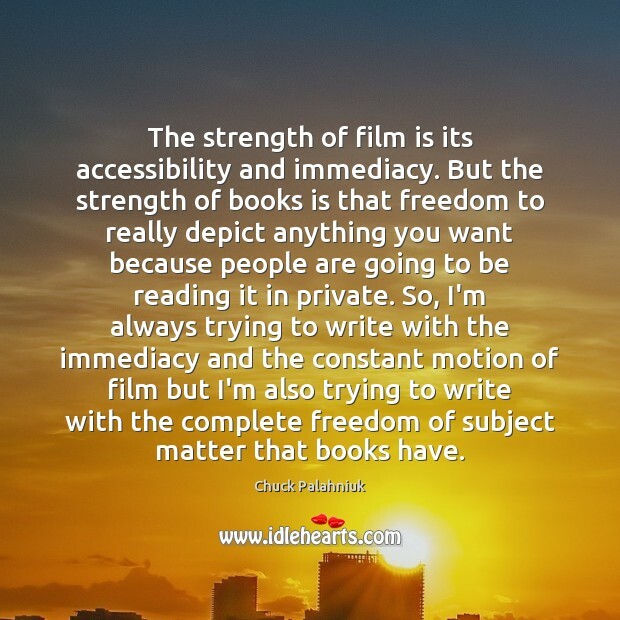 In my case, it's accessibility. 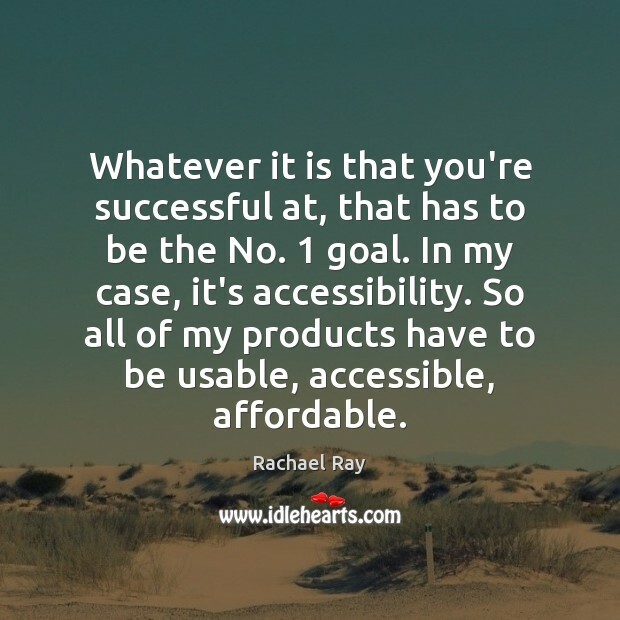 So all of my products have to be usable, accessible, affordable. 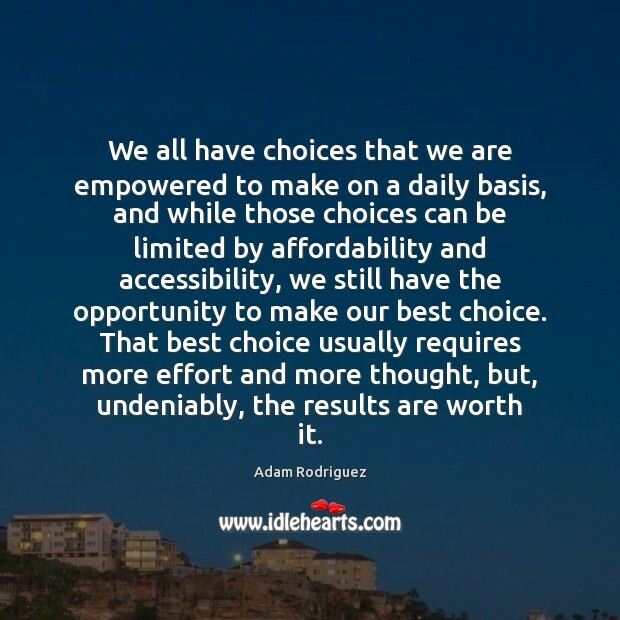 We all have choices that we are empowered to make on a daily basis, and while those choices can be limited by affordability and accessibility, we still have the opportunity to make our best choice. That best choice usually requires more effort and more thought, but, undeniably, the results are worth it. 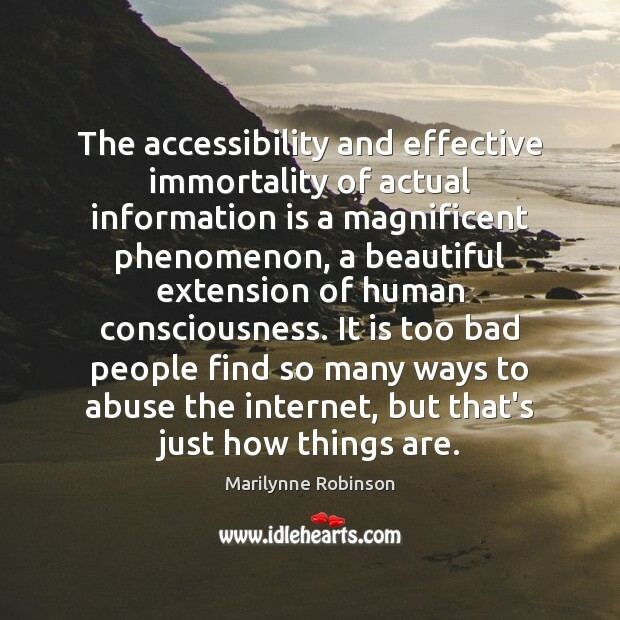 The accessibility and effective immortality of actual information is a magnificent phenomenon, a beautiful extension of human consciousness. It is too bad people find so many ways to abuse the internet, but that's just how things are. 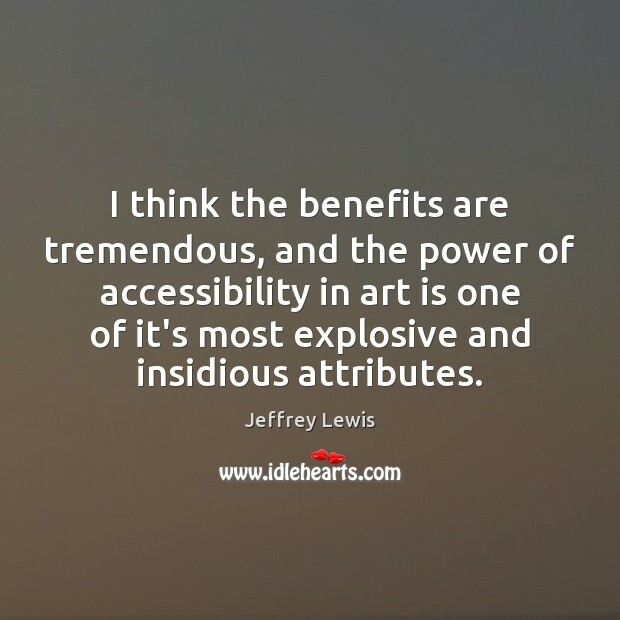 I think the benefits are tremendous, and the power of accessibility in art is one of it's most explosive and insidious attributes. 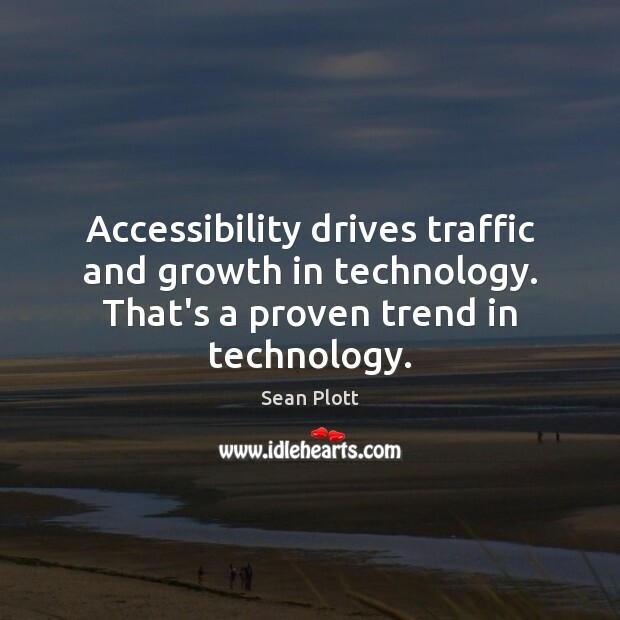 Accessibility drives traffic and growth in technology. That's a proven trend in technology. 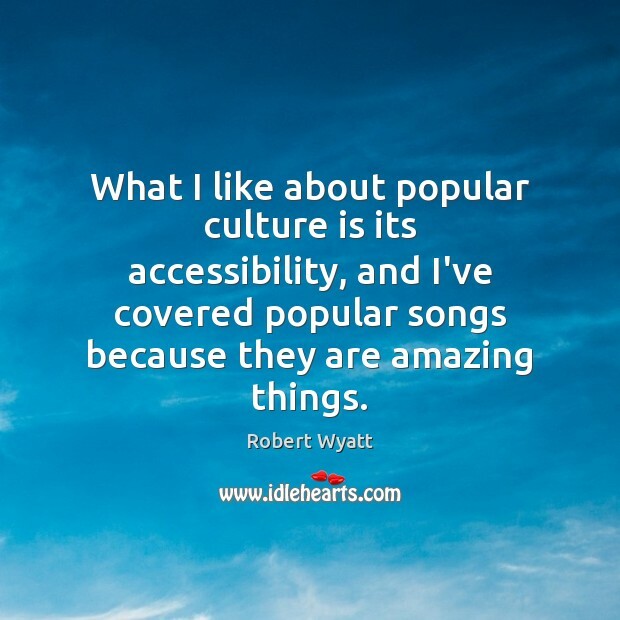 What I like about popular culture is its accessibility, and I've covered popular songs because they are amazing things. 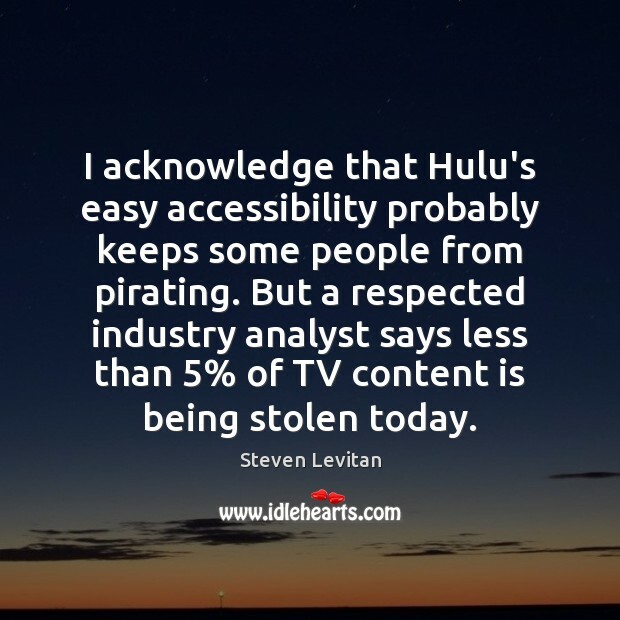 I acknowledge that Hulu's easy accessibility probably keeps some people from pirating. But a respected industry analyst says less than 5% of TV content is being stolen today. 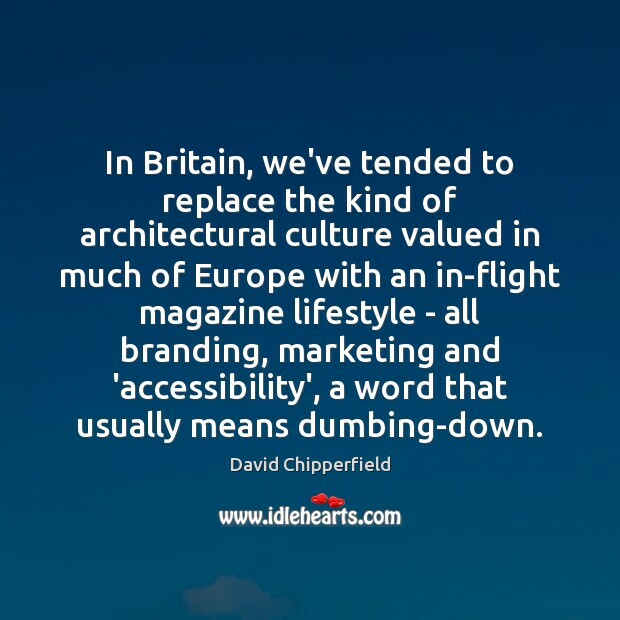 In Britain, we've tended to replace the kind of architectural culture valued in much of Europe with an in-flight magazine lifestyle - all branding, marketing and 'accessibility', a word that usually means dumbing-down. 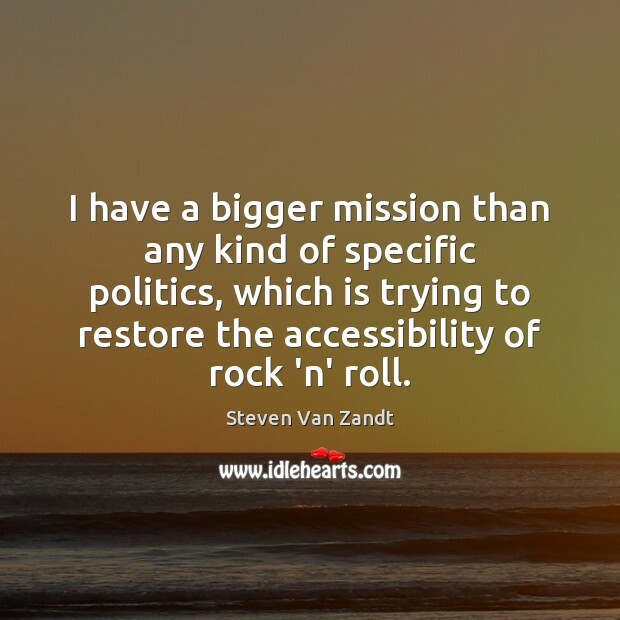 I have a bigger mission than any kind of specific politics, which is trying to restore the accessibility of rock 'n' roll. 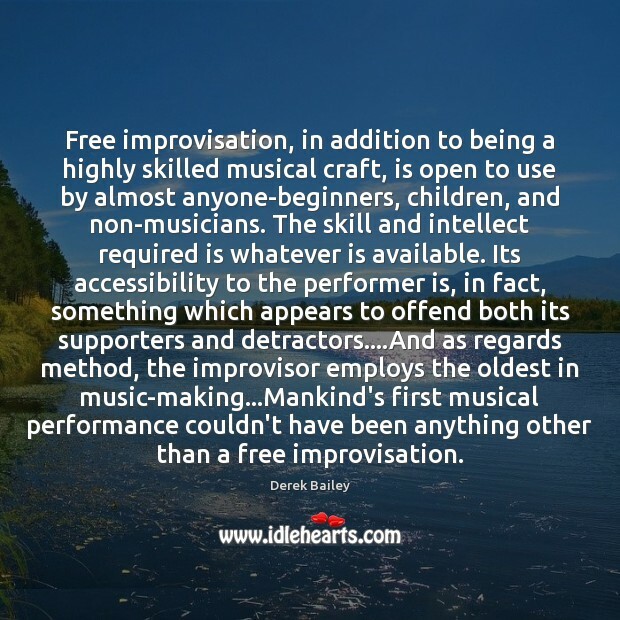 Free improvisation, in addition to being a highly skilled musical craft, is open to use by almost anyone-beginners, children, and non-musicians. The skill and intellect required is whatever is available. Its accessibility to the performer is, in fact, something which appears to offend both its supporters and detractors....And as regards method, the improvisor employs the oldest in music-making...Mankind's first musical performance couldn't have been anything other than a free improvisation. 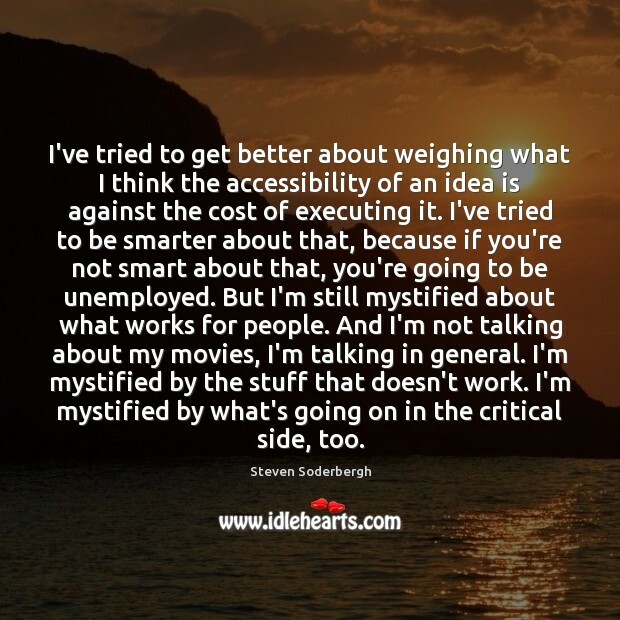 I've tried to get better about weighing what I think the accessibility of an idea is against the cost of executing it. I've tried to be smarter about that, because if you're not smart about that, you're going to be unemployed. But I'm still mystified about what works for people. And I'm not talking about my movies, I'm talking in general. I'm mystified by the stuff that doesn't work. I'm mystified by what's going on in the critical side, too.